Welcome to part two of our three-part recipe series! 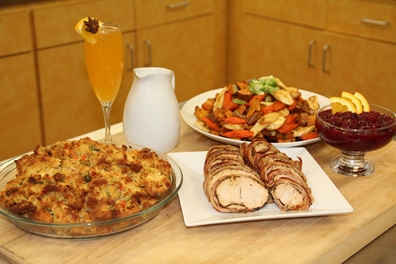 Thanksgiving is just a week away and we’re here give you the delicious recipes you need to celebrate this holiday. 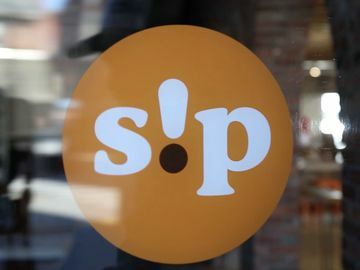 Last week, we presented you with our Spiced Orange Spritzer and Cranberry Brie Hash Brown Canapés recipes. This week, it’s all about the core of Thanksgiving dinner – the turkey! However, Thanksgiving dinner isn’t complete without classic side dishes like stuffing and vegetables so we’ve put a Dunkin’ twist on them too. So what’s on the menu? 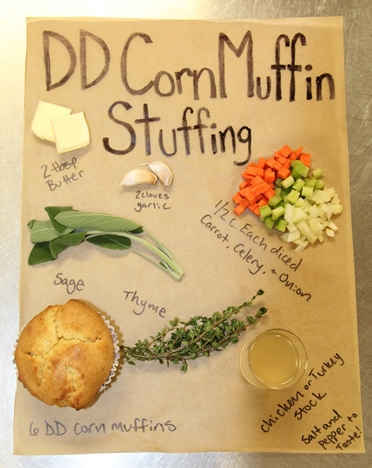 Using Dunkin’ Donuts coffee and bakery items, we created a coffee-rubbed roasted turkey tenderloin served with pumpkin coffee gravy, roasted root vegetables with a pumpkin coffee glaze and corn muffin stuffin’. 2. 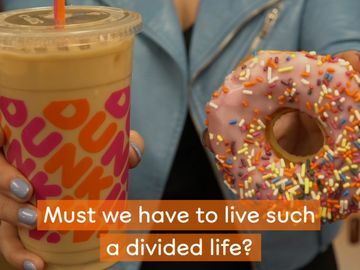 Combine Dunkin’ Donuts Original Blend ground coffee, paprika, garlic powder, onion powder, poultry seasoning, salt and pepper. Set aside. 3. Remove turkey from package and pat dry with paper towel on a designated poultry cutting board. 4. Rub spices into the turkey breast. 5. Lay the bacon out side-by-side to make a sheet to wrap around the turkey. 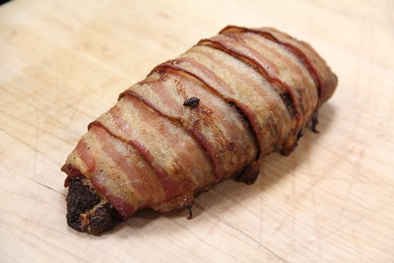 Place turkey tenderloin in the center of the back and wrap the bacon around the turkey. 6. Place turkey tenderloin on a foil-lined sheet pan and roast until thickest portion of the turkey breast reaches an internal temperature of 165 degrees (this should take approximately 45 minutes). 7. Remove from oven and tent with tin foil and let rest for about 10 minutes, this ensures the meat stays juicy (no one likes dry turkey right?!). 8. Slice and serve along with the rest of your DD Thanksgiving fixings! 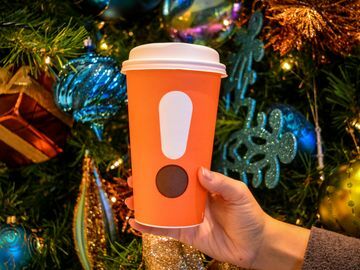 *Dunkin’ Donuts Pumpkin packaged coffee is sold at participating U.S. Dunkin’ Donuts restaurants and online. 1. Reduce chicken stock by half in a small sauce pot on medium-high heat. Set aside. 2. Melt butter in a sauce pan. Add flour and cook for about 2 minutes until the mixture begins to foam (this is called a roux). 3. 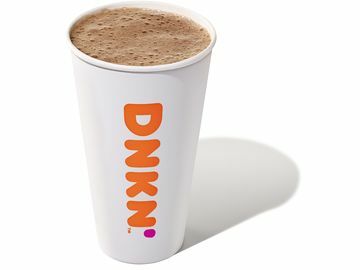 Whisk in the brewed Dunkin’ Donuts Pumpkin coffee vigorously to prevent lumps. 4. Whisk in reduced chicken stock and bring to a boil for about a minute stirring constantly. 5. Reduce to a simmer and add salt and pepper to taste. 6. 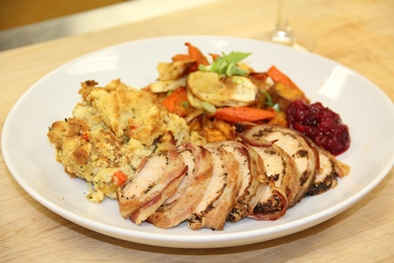 Serve alongside DD Coffee Rubbed Turkey Breast and enjoy! 2. Peel and dice the root vegetables and place in a bowl with olive oil, salt and pepper and stir to coat. 3. 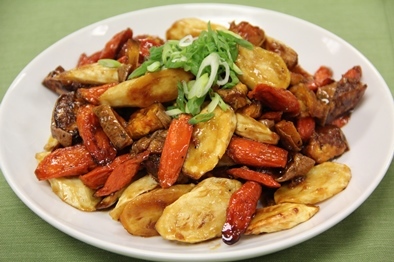 Pour vegetables onto a greased baking sheet and roast for about 30 minutes until the centers are soft and the exteriors starts to turn a golden brown. 4. 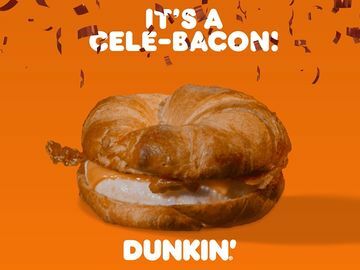 In a small sauce pan, combine brewed Dunkin’ Donuts Pumpkin coffee and maple syrup and cook on medium heat until thick and syrupy. This should take about 30 minutes. 5. 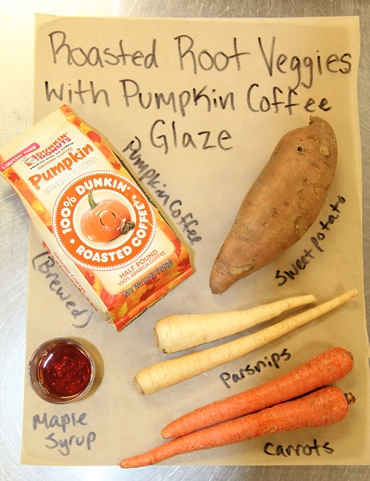 After the vegetables are finished baking, pour the pumpkin coffee glaze over the vegetables and stir to coat them. 6. Place in your favorite serving dish and garnish with sliced scallions. 2. In a sauté pan, melt butter over medium-high heat. Add onion, celery and garlic and sweat until onions become translucent. 3. Remove from heat and place into large bowl and allow to cool. 4. Dice Dunkin’ Donuts Corn Muffins and place in the bowl with the vegetables. 5. Add herbs, salt and pepper and stir all ingredients to combine. 6.) Moisten with chicken stock, ensuring there are no dry spots. 7. Place a small amount of stuffing mixture into each cup of a greased muffin tin. 8. Bake until the edges are golden brown. 9. Serve with your DD Thanksgiving meal! 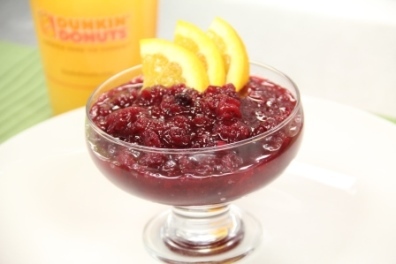 Also, don’t forget to serve the Cranberry Sauce we used in our appetizer course at your Thanksgiving dinner! 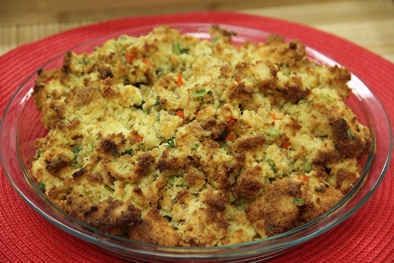 Stay tuneDD for the finale of our Thanksgiving recipe series. You won’t want to miss serving these sweet desserts after your dinner. Hint: One recipe involves donuts – YUM!